This stunning drop leaf round garden table and arm chairs set offers solid construction and a traditional style that would look stunning in any garden or patio setting. 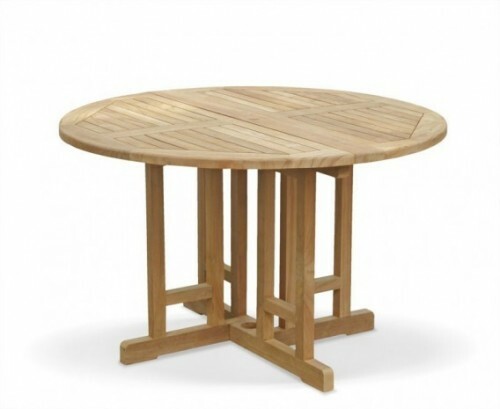 Expertly constructed in plantation grown A-grade teak for lifelong durability and aesthetic appeal, this drop leaf round garden table and arm chairs set has been built to last and can be left outdoors all year round with minimal fuss, ensuring stress-free fruitful use for years to come. 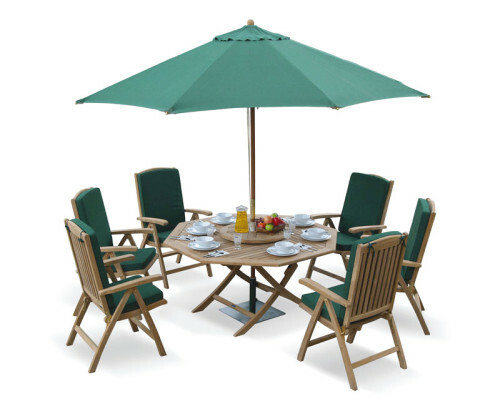 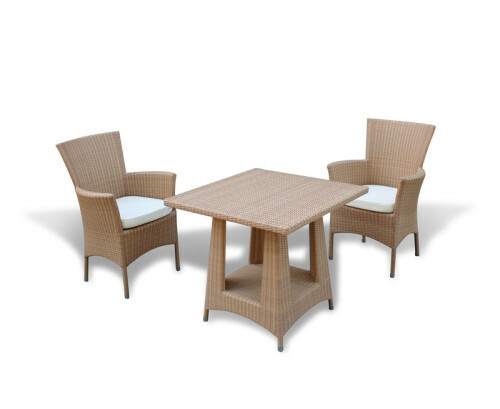 Designed with practicality and style in mind, this handy patio outdoor 4 seater dining set has been modestly sized and can be utilised without sacrificing a great deal of space, what’s more this round garden table and chairs – patio outdoor 4 seater dining set features a clever space saving fold away design – allowing you to make the most of your outdoor space for when it isn’t required. 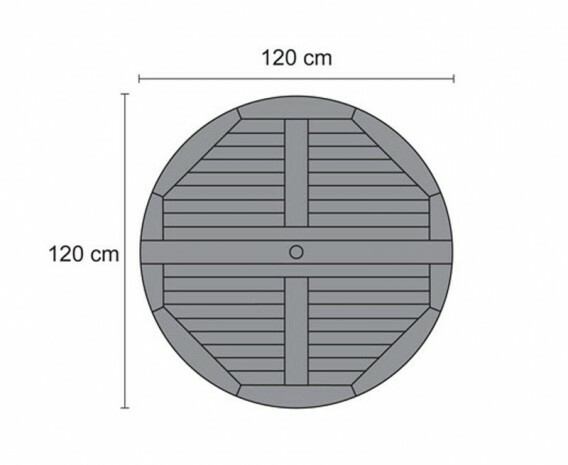 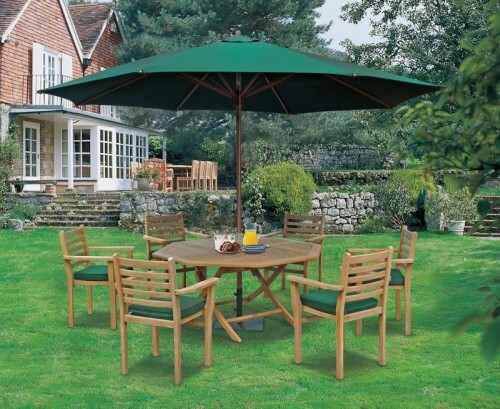 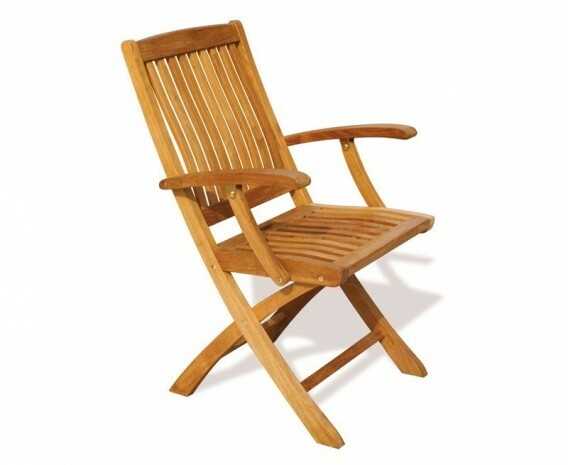 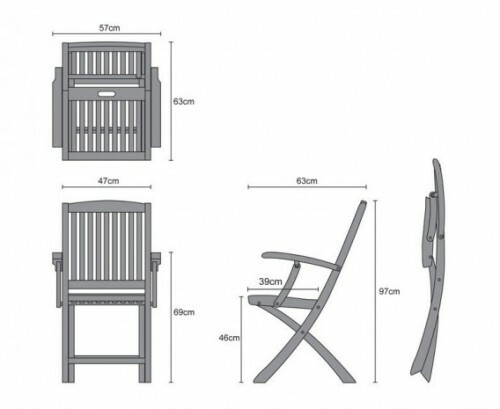 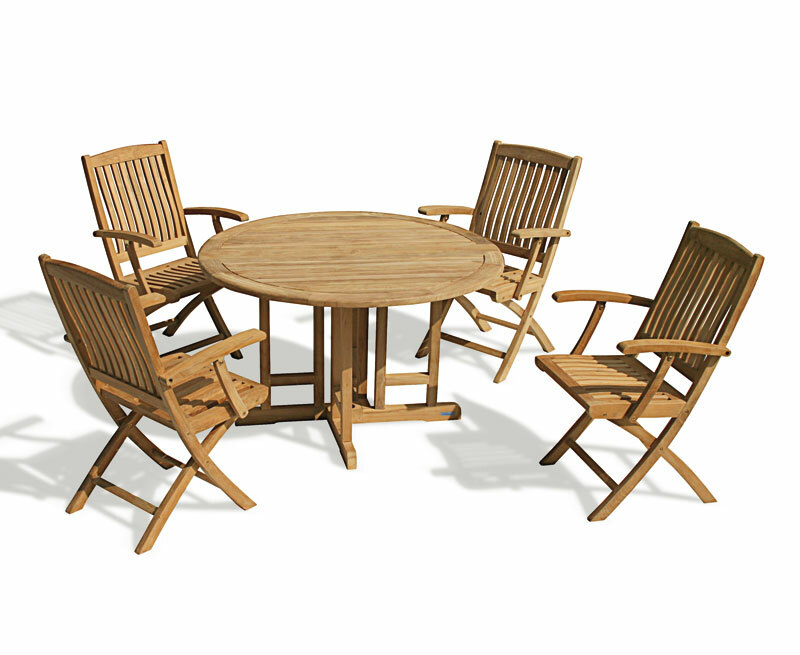 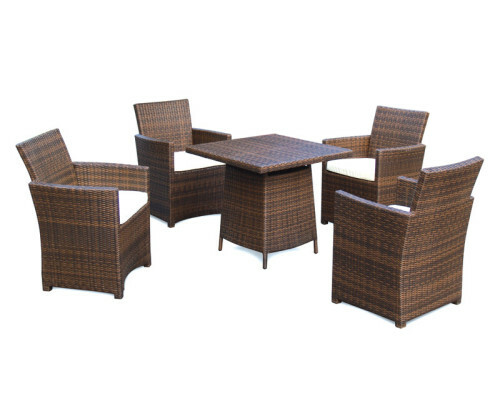 This drop leaf round garden table and arm chairs set will be delivered pre-assembled for your immediate convenience.